Posted on February 5, 2015 by tessa.morrison. 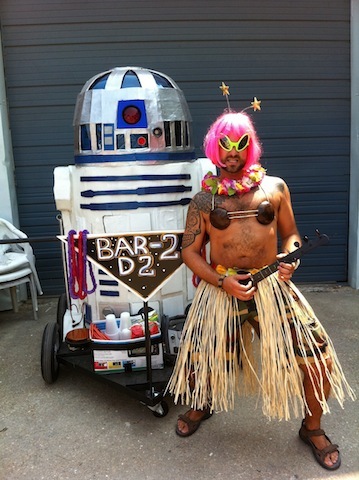 THE Wookiee (AKA Bigfoot in Space) + Roman god of Wine & Revelry = Chewbacchus. This weekend I am going to New Orleans for the first time! My good buddy Katie and I, who I’ve known since middle school, are road tripping there. 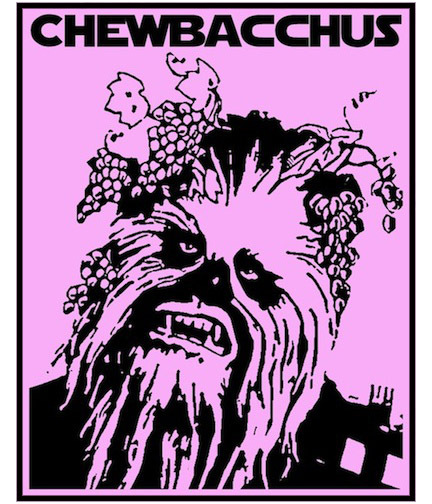 We are staying at a friend’s place for an event on Saturday, February 7th called the Chewbacchus and the after party, the Chewbacchanal. For those that are probably wondering “what the hell is a Chewbacchus?”, well friend, it is a nerdy aspect of Mardi Gras (or as we have started to call it, Mardi Groot) where you parade down the streets dressed as your favorite sci-fi/fantasy/horror/whatever character and throw awesome handmade geek swag to onlookers. Unfortunately, yesterday was the last day to sign up to be in the parade, but that doesn’t mean you can’t go to watch! There are different krewes you can choose to roll with, including the Wyld Stallyns, Chew-Bake-Us, Sith Happens, The Galactic Senate, Ready Player One, Alien Stripper Pole, Browncoat Brass, The Rolling Elliots, Men (and Women AND Aliens) in Black, and so forth. There are tons of krewes and subkrewes in this thing, so there is something for every kind of nerd. I’m torn between joining the Browncoat Brass or the Krewe of Calamitous Intent next year. Along with the krewes, there is the parade’s security team, The Red Shirts, which I think you can still join to ensure the revelers safe passage through the city. 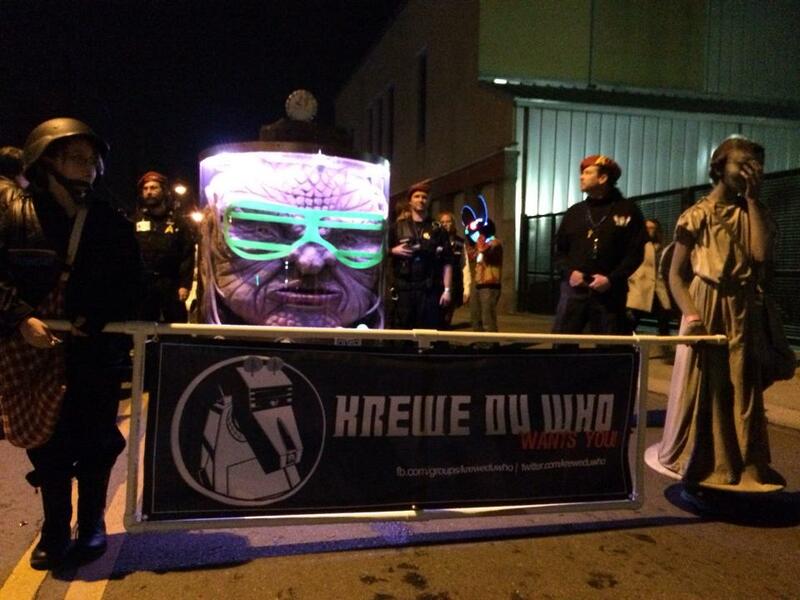 The Intergalactic Krewe of Chewbacchus announced that the theme for this year’s Mardi Gras Parade is Chewbacchus 2015: “The Cult of the Sacred Drunken Wookiee!” Chewbacchus started in 2011, but is growing quickly. It’s been announced that Peter Mayhew (the original Chewbacca) and Andy Richter will be in attendance this year. Peter and his wife probably got a lock on the King and Queen of the festivities. However, one year they chose some redshirts for King and Queen, applauding the underdog! So it could be anyone’s guess who will win the crowns this year. The Krewe du Who and the Face of Booze. I am going as Elizabeth Comstock from Bioshock Infinite and giving out small handmade Bioshock themed notepads with salts, the Lutece twins, Columbia coins, and guns/ammo on them. Pictures of those notepads are posted below. 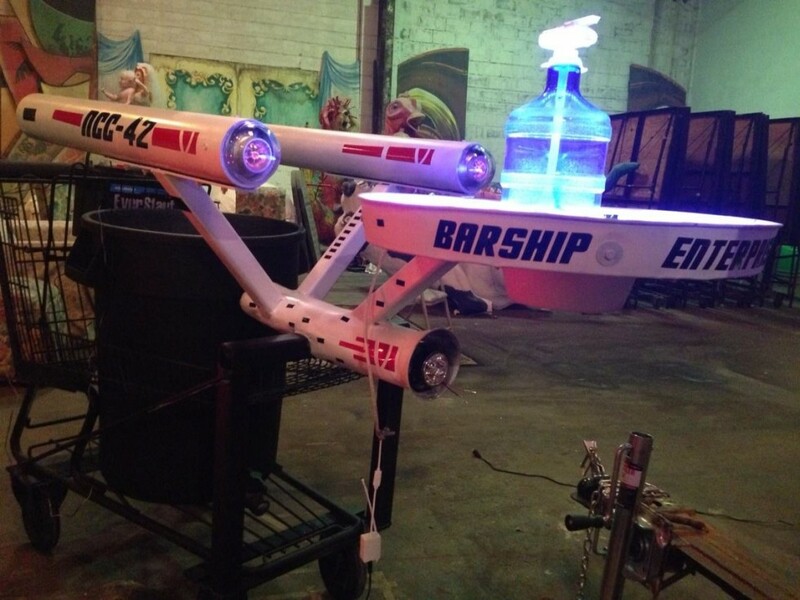 I’ll be rolling with the Krewe du Who, so if you see the giant Face of Booze, I’ll be not too far off. I figure that a lady who makes tears in time and space probably fits in just fine with the Timelord crowd. Allons-y Booker!